Cook the chicken in a large skillet using non-stick cooking oil. You can chop the chicken before or after cooking. Once chicken is cooked and chopped add the cream of celery soup (undiluted). Toss in the frozen veggies and set the filling aside. Prepare the gravy using the paste. If using a paste, there will be fewer calories than prepared canned gravies. Incorporate the gravy into the chicken mixture. Season to taste. 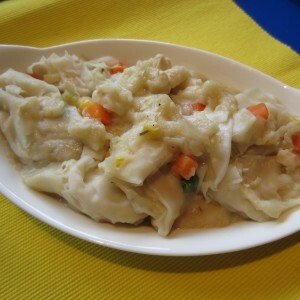 Place 1 tablespoon of the chicken mixture onto a won ton wrap. Dip your fingertips into cold water and coat the edges of the won ton wrapper. This will be your seal. 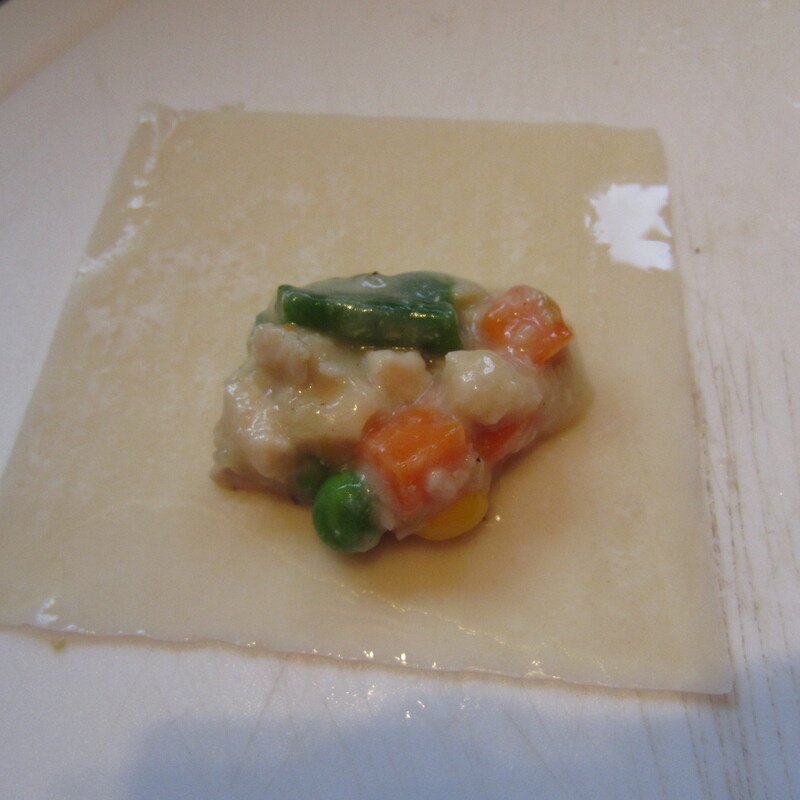 Fold the won ton wrapper diagonally and gently press down the wet edges. Once again, dip your fingers in water and apply a thin layer of water to all three sides of the wrap. 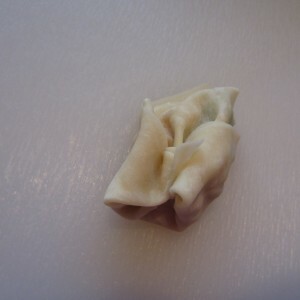 Fold the won ton as shown. Continue filling each won ton wrap until your chicken mixture is depleted. You should end up with about 10-12 mini won ton chicken pot pies. Drop the filled won tons into a pot of boiling water for about 3-4 minutes. Drain and add the chicken gravy. Print recipe with your print menu options.